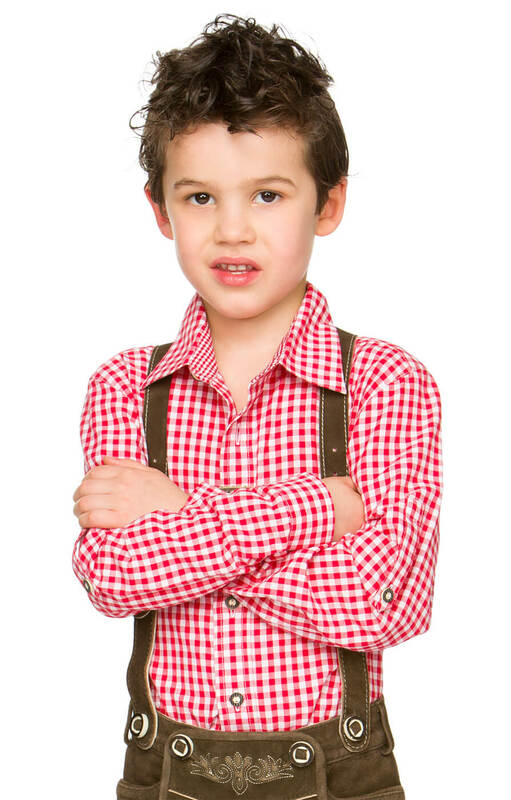 Child's Checked Trachten Shirt Bob in Red. 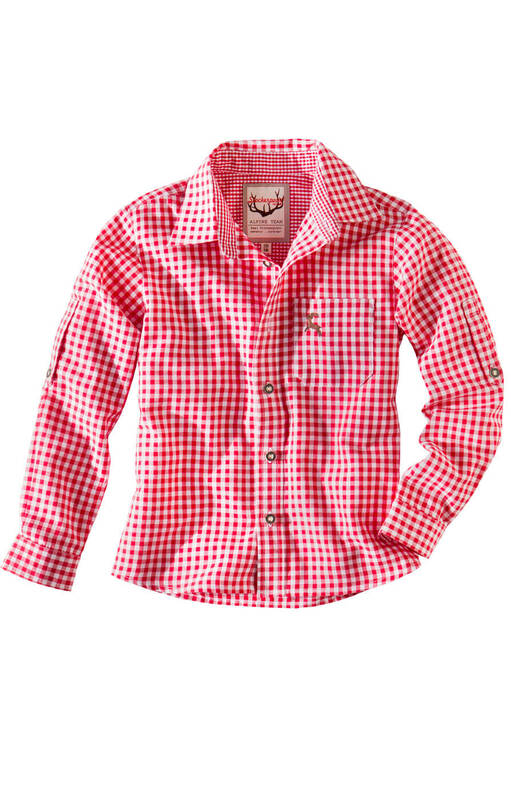 This classic child's checked trachten shirt by Stockerpoint in red check is tailored in an easy-care high-quality polyester cotton blend. 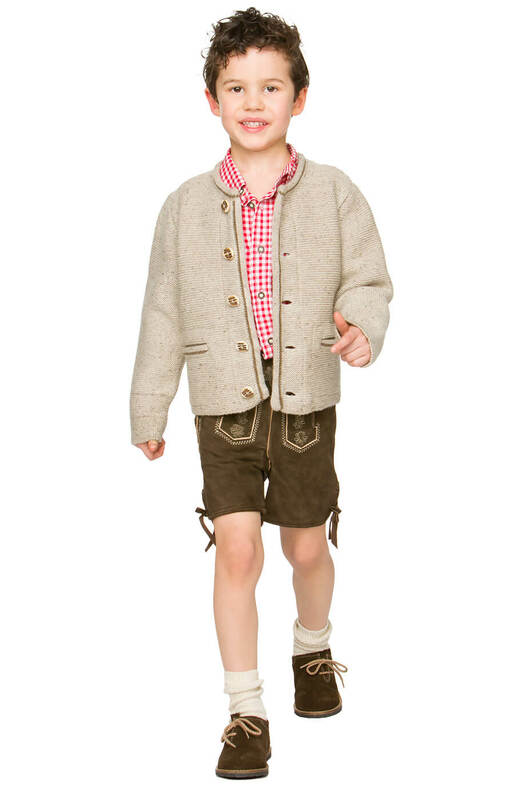 It is fastened with horn buttons and boasts an embroidered deer motif on the breast pocket in traditional Bavarian style. The shirt has long sleeves with buttoned loops that allow them to be worn neatly rolled up. Elements to appreciate are the attention to detail in this child's trachten shirt, such as the lining of the collar and back yoke in a smaller check. 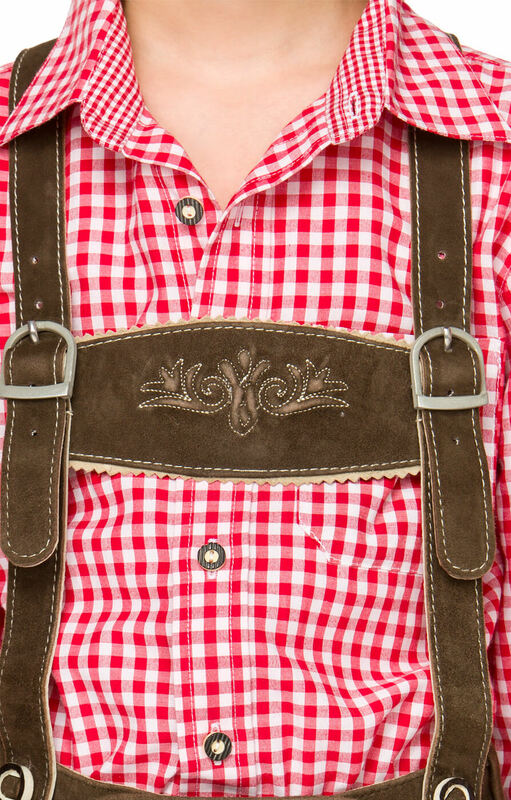 Ideal for wearing with lederhosen, this shirt also looks cool with jeans and shorts.